Is it just me, or is this second season of The Exorcist trying to become the second coming of Sleepy Hollow? I say that because it’s been a while since I’ve seen a fantasy/sci-fi show on FOX that was this diverse. Usually, I shy away from watching shows about the devil (despite watching Sleepy Hollow, but it was less about the devil and more about ghosts and demonic imps and stuff), but with a cast that looks this good, I just might try to tamp down my fear of evil and watch this season. 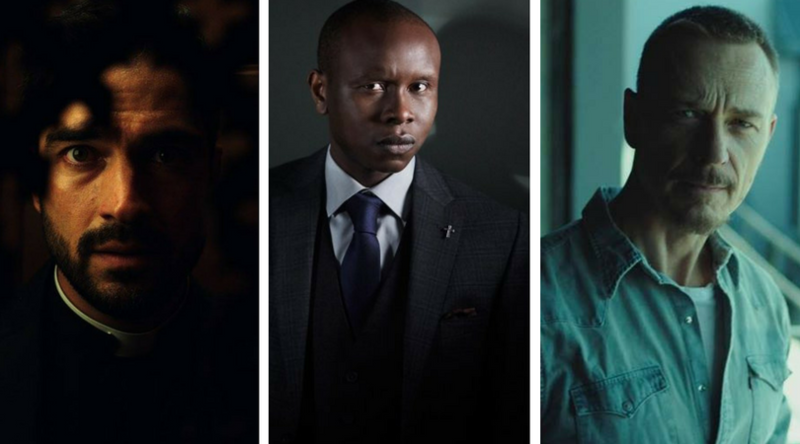 There are some characters from last season that are coming back for this season, such as the three-pronged team of Catholic priests who work together to propel the devil back to Hell. Some familiar faces to Exorcist TV show fans include Alfonso Herrera as Father Tomas and Kurt Egyiawan as Father Bennett, both are seemingly led by veteran exorcist Father Marcus (Ben Daniels). (L-R) Alfonso Herrera as Father Tomas and Kurt Egyiawan as Father Bennett, Ben Daniels as Father Marcus. But the Sleepy Hollow angle comes intimately into play with John Cho. First of all, he’s back on FOX—the last time he was on the network, he was playing Andy Brooks on Sleepy Hollow, a character who got a raw deal in many ways. Secondly, he’s once again playing an Andy—this time around, he’s Andy Kim, a surrogate father to several kids in the foster system. Maybe this could be like an alternate universe in which Andy isn’t seduced by the dark side, wasn’t a cop, and wanted to do good in the world by taking care of kids and protecting them from the devil. 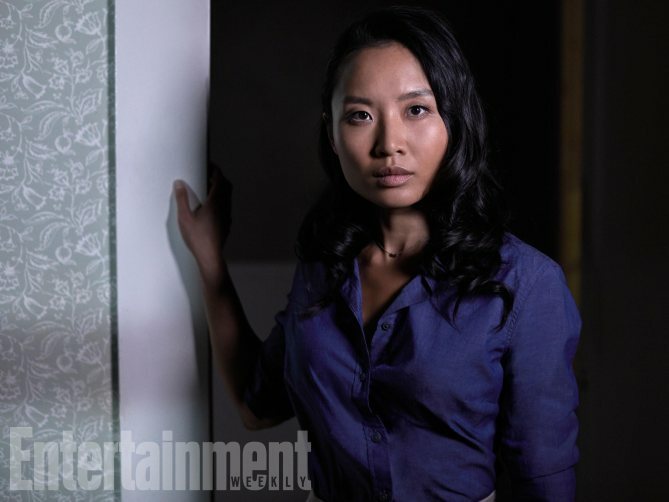 Other newcomers include Li Jun Li as Rose Cooper, a social worker who checks in on Andy and the kids. She also has a history (romantic, I’m assuming) with Andy, and knows something’s bothering him. This leads us to the kids themselves. It’s a diverse set of kids, including Deadpool’s Brianna Hildebrand as Verity. 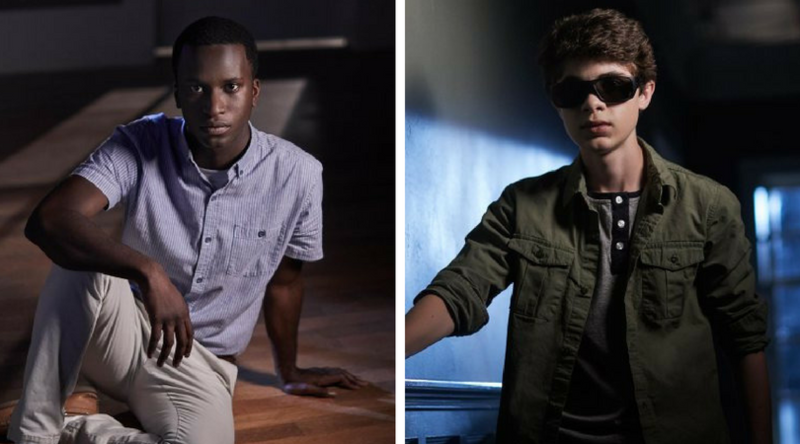 Other teen/kid actors include Alex Barima as Shelby, Cyrus Arnold as David Johnson III, otherwise known as Truck, Amélie Eve as Grace, and Hunter Dillon as Caleb, a blind character. Ironically, both Dillon and Hildebrand are in Deadpool 2 together. But one thing of note about Caleb is that he’s a character played by a sighted actor. This could have been a good opportunity for a blind or otherwise visually-impaired actor to have. 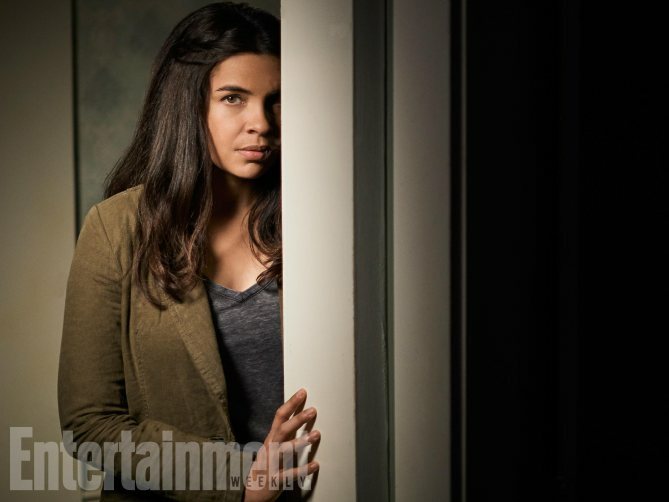 Still Star-Crossed’s Zuleikha Robinson also stars in this upcoming season as Mouse, who is described by creator/EP Jeremy Slater as a “loyal servant of the church” who is “starting to realize the corruption has spread further than anyone had realized” and is adamant about taking down the church’s patriarchal system. 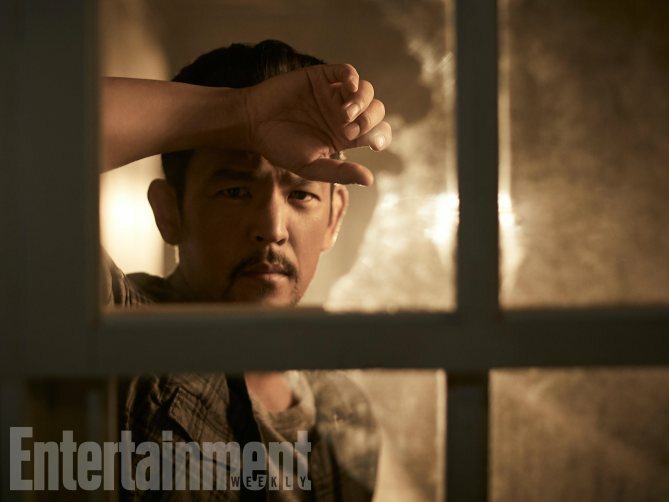 You can learn more about the new characters and see more pictures at Entertainment Weekly. As for me, I’ll put on my big girl britches and check out at least a couple of episodes from this new season. If it’s too much for me to handle, I’ll have to bow out, but I’ll be cheering for its success on the sidelines.